Tea leaf reading or teomancy ( reading of coffee grounds is called cafeomancey) has been around for centuries. When reading tea leaves you are meant to go beyond the symbol in the cup, it is necessary delve more deeply into your psyche. 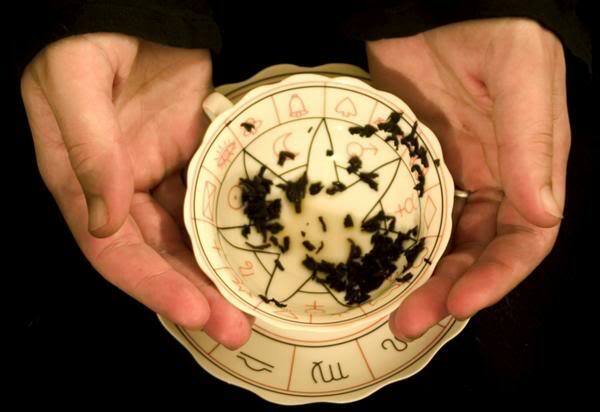 Tea leaf reading can help you to tune into and expand your intuition and your psychic ability, although anyone can learn the art of tea leaf reading without having psychic ability, just by learning the symbols and committing them to memory. The interpretation of the symbols is the seekers quest to understand themselves, the simple act of sitting down, making a pot of tea, drinking the tea and then focusing on the symbols is meditative. 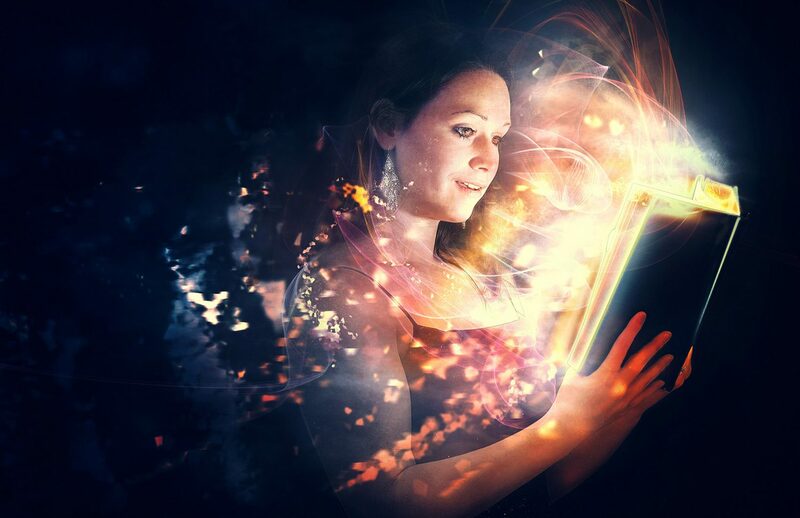 Once you have familiarised yourself with all the symbols you will find it quite straightforward to conduct a reading as your psychic ability is enhanced by the concentration required to conduct a reading, you will be able to find a deeper meaning within each symbol. Anyone can become proficient by following the simple rules associated with this time honoured practice embraced by many the world over. If the seeker is a coffee drinker it is best to use Turkish coffee as the coffee grounds sit firmly in the bottom of the cup, to read the coffee grounds the seeker drinks the coffee then places the saucer over the cup and turns it upside down just as with a cup of tea. Within the bottom of the cup of tea or coffee many things can be seen, objects, people, animals, babies, children, the closer the symbol to the top of the cup the sooner the event is to take place, the more defined the symbol the stronger the impact on the person’s life. There is positive or negative in all symbols depending on the placement and what type of symbol it is. This will be revealed by the reader, the more negative connotations are not there to frighten you, they are there to make you aware and to possibly change your behavior to avoid certain things that may have taken place. To begin you have the seeker and the reader who sit at a table close together, the pot of tea is made and the teapot is placed in front of the seeker, the seeker is then asked to turn the teapot once to the right and twice to the left and then to pour the tea and stir the cup, the reader will first look at any symbols floating on the top of a full cup of tea or coffee, a visitor is depicted if a leaf is floating on top of the tea, a sturdy looking leaf denotes a man, a softer leaf denotes that the visitor is a woman. The seeker then drinks the tea and leaves a small amount in the bottom of the cup, the seeker is asked to hold the cup and to concentrate on their desires for the future and the reader then begins. Some readers only see weeks or months and others are able to see years it all depends on the ability of the reader. The clarity of the image is taken into consideration, if something is barely discernable it means it will soon be of no particular significance. Timing of events to come is gauged by the distant future in the bottom of the cup, the side of the cup events are closer and the nearer the symbols are to the handle the closer the depicted events. To begin place yourself in a comfortable place and enjoy your cup of tea in a relaxed atmosphere allowing your mind to clear. After the reading has been completed throw the used tea leaves outside into the garden or into a pot plant, this is said to be for protection. You are now ready to begin your reading. Acorn meaning – If in the bottom of the cup you can be assured of good health, and if at the top of your cup there is financial abundance for you. Airplane meaning – When you see the shape of a plane in a tea cup it denotes a journey or depending on the rest of the symbols in your reading it can be pointing to an advancement in your career. Anchor shape meaning – If near the top of the cup balance in your life is represented, if in the bottom of your cup you are meant to put more emphasis on something in your life you are not completing. Apple meaning – There is much ahead for you to achieve, keep your eyes on your goal and don’t give up. Axe meaning – There will be obstacle and challenges ahead if at the bottom of the cup, if at the top of the cup you may have or are about to overcome any difficulties. Bell meaning – If near the top of the cup the news will be auspicious, if near the bottom the news will be entirely unexpected. Butterfly meaning – There is some oscillating taking place in your life, either by you or by someone close to you. Birds meaning – This is a depiction of very good news coming your way. Ball meaning – Be careful of your finances don’t let hard earned capital drain away due to carelessness. Baby meaning – Pay attention to a worry or concern that you have been putting off attending to. Boat meaning – There is an invisible force field of protection around you, also a friend will soon be visiting. Bush meaning – There are new opportunities opening up for you and new friends to be made from this. 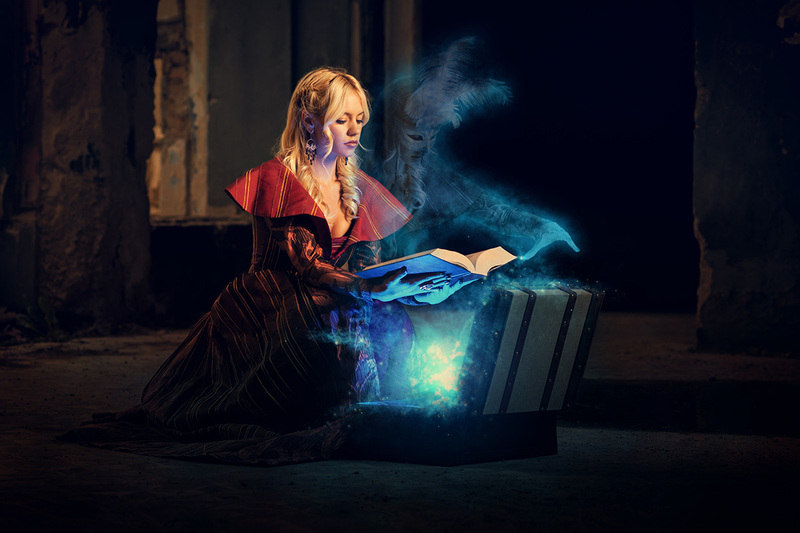 Book meaning – If open there is very good news for you. If closed something is yet to be revealed and you may need to do some probing to find out what it is. Chair meaning – There will be a welcome guest in your home. 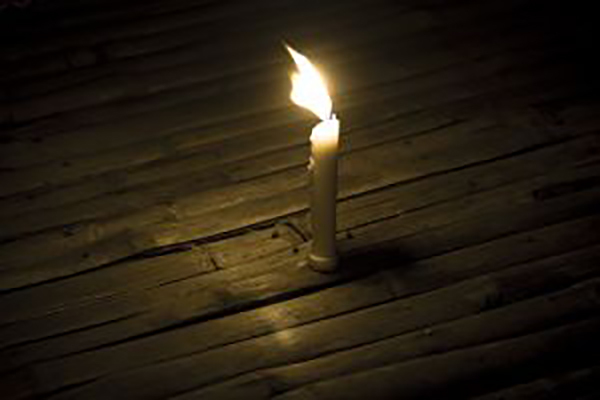 Candle meaning – Help will be coming to you in an unexpected manner. Circle meaning – Completion of something, with dots you will be hearing of a pregnancy or be planning a pregnancy. Coin meaning – Cash will be flowing in. Cigar meaning – There will be someone new in your circle of friends that you will get on well with. Cap meaning – Watch what you say, words once uttered cannot be taken back. Cabbage meaning – This image depicts jealousy around you, if there are dots this will very likely be in a work environment. Clock meaning – If you have had some health concerns there will be some improvement, if the matter is emotional or psychological your thoughts are to become more positive. Clouds meaning – There are some challenges heading your way, with dots you will be dealing with more than one matter at a time. Cat meaning – There is possibly someone in your life who is not quite as you envisaged, be wary if your instincts are telling you to give someone a wide berth. Cup meaning – You are to be justly rewarded. Comb meaning – Are you being naive in a situation regarding another person. Cross meaning – Possibly doing something you do not want to do, maybe giving something up. Duck meaning – Money to come. Dagger meaning – Be aware of who you spend your time with, choose carefully. Dish meaning – Quarrels are likely in the home environment so tread warily, mediation is better than confrontation. Dog meaning – A supportive friend, if at the bottom of the cup a friend will require your help. Door meaning – The events coming your way will require you to be flexible. Envelope meaning – You are to hear some auspicious news. Eye meaning – Exercise caution if you are taking on anything new in your life, take off your rose coloured glasses and see clearly, do not gloss over something that troubles you, pay attention. Egg meaning – The egg in a teacup is always a good symbol, it depicts luck and or happy news. Elephant meaning – What else can the elephant mean but strength, wisdom and serenity. Fire meaning – If at the top of the cup it means achievements, if at the bottom of the cup you are urged to pay attention to detail, do not rush into anything. Feather meaning – Be aware of not letting something you should be paying attention to go by without you noticing, a lack of concentration may be evident if this symbol is in your teacup. Face meaning – This means changes to come, and there may be a momentary setback in your life. Fence meaning – You may be dancing on a shifting carpet for a time where nothing in your life feels stable, endeavor to keep your balance and your good spirits and you will overcome. Take note of the rest of your reading for more detail. Fish meaning – Something fortunate is to take place. Fan meaning – Romance is depicted if single, if you are not single there are some romantic moments ahead. Forked line meaning – If a forked line appears in your teacup there are decisions to be made, make then with care and consideration. Flag meaning – Be aware of where you are going and what you are doing don’t take chances progress with care be street wise and listen to your intuition. Fly meaning – There could be some family tension, never underestimate the benefits of a round table conference to clear the air. Fruit meaning – If you see fruit in your teacup you are being assured of abundance as this is the sign of prosperity. Goat meaning – Be fully aware of who are and who aren’t your friends, be honest with yourself. Grapes meaning – A beautiful bunch of grapes spells happiness for you and yours. Gate meaning – You will take the correct steps to open the right doors to ensure your success. Glass meaning – You or someone close to you behaving with integrity. Gun meaning – The depiction of a gun in your reading shows there is anger around you and it may be necessary to defer to someone for guidance. Hourglass meaning – A decision needs to be made. Hammer meaning – It will take some due diligence to complete a task. Hat meaning -There will be well timed improvements and success around you in business, career. Hawk meaning – There may be some jealousy around you, if you know where it is coming from you can be aware and possibly address it, if you don’t care to address it, or it is not appropriate then be aware. Horse meaning – Good news to come if the horse is in motion, if only the head is shown there is a passionate lover around you. Horseshoe meaning – Good luck is yours. House meaning – The depiction of a house in a reading reveals security. Heart meaning – This is always to do with pleasure, joy and love. Harp meaning – Serenity, calm, harmony, love. Hand meaning – An open hand depicts friendship, a hand that is closed reveals there is to be a disagreement with someone. Ice, iceberg meaning – Be cautious around those you do not know well, always trust your intuition. Insect meaning – Some difficulties you have around you at the moment you will overcome quickly. 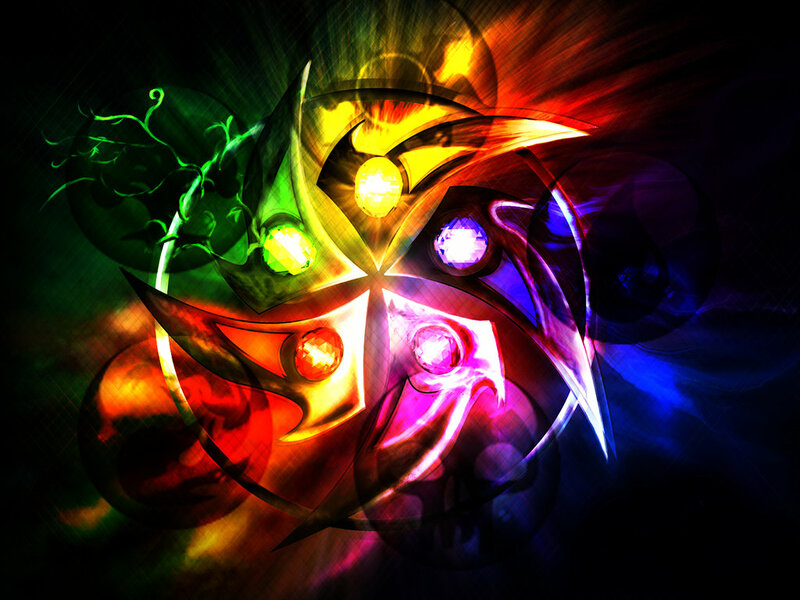 Jewels meaning – There is a surprise gift to come your way. Kangaroo meaning – There will be peace, joy, calm and balance in your home. Kettle meaning – This sign means that you will overcome any ailment quickly. Kite meaning – What you have wanted will be yours if you see this symbol in your teacup. Knife meaning – This meaning of a knife in your reading depicts a friendship coming to an end. Lines meaning – If the line are wavy there is an uncertain path ahead and you must look clearly at your motives, if the lines are straight you will progress successfully with obstacles. Ladder meaning – Attainment, success, progress, career move, business growth. Lamp meaning – At the bottom of your teacup this means something will be put on hold in your life, if at the side of your cup something that has been secret or shut away will be revealed to you, if at the top there is abundance and a happy gathering. Leaf meaning – Be ready to walk through the gateway into a new life or a new way of conducting yourself in the world, this is a most auspicious symbol. Lions meaning – Those who are influential will play a part in your life. Lock meaning – There are some obstacles ahead for you to overcome, keep your thoughts positive. Loop meaning – You are being urged not to act impulsively. Letter meaning – You will be hearing some news. Mouse meaning – Make sure you secure doors and windows when you go out, and lock your car, don’t leave anything valuable in your car, this is the sign of theft so be aware. Man meaning – If the shape of a man is near the handle there is to be a visitor, if far away from the handle the visit will not take place in the near future. Mushroom meaning – If reversed there will be some difficulty or frustration in your life that is necessary for you to stoically overcome, if near the bottom there is to be rapid growth in your life, if at the top of your cup there will be a home move and this is possibly to the country. Mountain meaning – There will be challenges ahead as you set yourself some positive goals and with steadfast application you will overcome and succeed. Mask meaning – There is excitement and anticipation around you, it is possible you may be feeling insecure. Needle meaning – You will be recognised and acknowledged for something that you do. Nail meaning – There is likely to be something taking place in your life that is unjust or unfair and you will have to stand your ground and wait patiently until it passes. Necklace meaning – This depicts completion, or if broken it can depict a relationship in difficulty. Owl meaning – There is talk or should I say gossip around you, someone may be involved in something that is not acceptable or is scandalous. Octopus meaning – Be aware of who you choose to spend time with and don’t take unnecessary risks such as climbing up on a rickety ladder or placing a lamp next to a bath filled with water. Ostrich meaning – When an Ostrich is shown in a reading it depicts travel for the seeker. Oak meaning – With the sign of an oak in your reading you are assured of a long and healthy life. Purse meaning – If at the bottom of the cup, be aware of money and how you are using it as the symbol of a purse at the bottom means you could experience some loss. If at the top of the cup it means there is money to come to you. Parasol meaning – If single there is a new lover to enter your life, if in a relationship you will inject more romance into your love life. Palm Tree meaning – There is success for you and a feeling of achievement. Parrot meaning – There is a journey to come for you, also don’t leave yourself open to gossip. Pig meaning – Be aware of overindulgence on all levels. Pistol meaning – Take care not to put yourself in dangerous situations, if already there seek some wise counsel. Question Mark meaning – Look before you leap, proceed with caution. 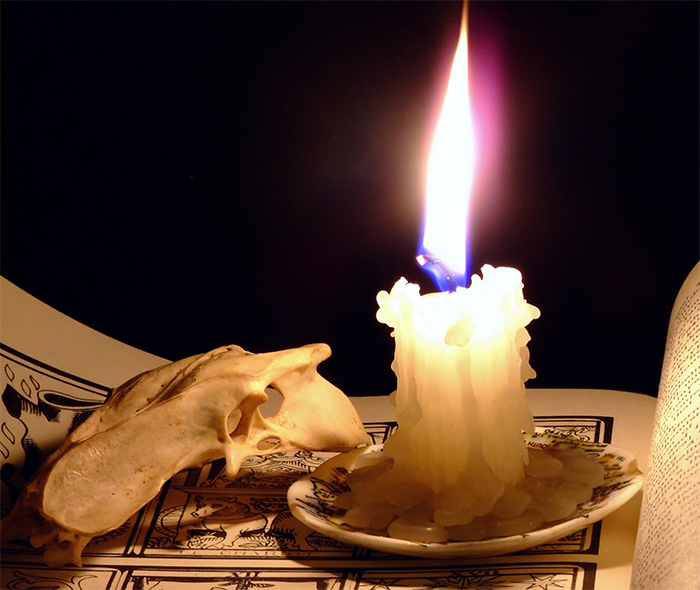 Raven meaning – You are to receive some unsettling news. Rake meaning – Pay attention to detail, do not rush anything or rush into anything. Rose meaning – There will be warm feelings from others towards you. Rabbit meaning – There will be a need to stand up and be counted, be courageous. Scissors meaning – Rifts within relationships. 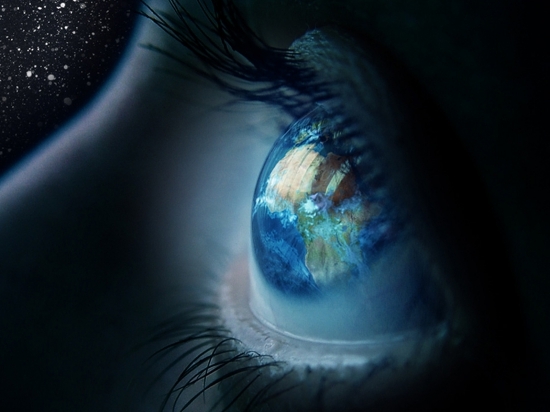 Saw meaning – Someone is interfering in your life, when taking any action listen to your higher self, trust your intuition. Scale meaning – Scales depict legal matters and if the scale is balanced you will receive the desired result, if unbalanced you may not agree with the result. Sheep meaning – The sheep is a symbol of good fortune. Sun meaning – The glowing golden ball spells success, achievement, power, joy and celebration. Spider meaning – You will be recognised for work you have done and you will be rewarded. Spoon meaning – The spoon depicts generosity from you towards others or from them towards you, whichever it is will depend on the rest of the reading, either way it engenders a nice feeling. Shoe meaning – There are positive and rewarding changes to take place. Sword meaning – There are disagreements around you try not to overreact. Star meaning – Health wealth and happiness is to be yours. Snake meaning – Wisdom and understanding, choose your friends carefully. Ship meaning – An auspicious journey is to take place. Shelter meaning – Pay attention to your health, if there is something that needs attending to, see a medical practitioner, be aware of your finances at this time, be cautious with money. Shelter meaning – There is some pleasant news coming your way. Table meaning – Happy social gatherings. Tower meaning – There are some disappointments to be faced. Triangle meaning – With this sign in your teacup you can expect the unexpected. Tent meaning – There will be travel for you. Tree meaning – There are to be some improvements around you. Tortoise meaning – Someone is to give you constructive criticism, listen well and respond to their wise and caring words. Thimble meaning – There are to be some changes at home. Umbrella meaning – There are some minor concerns that will require your attention to enable you to lay them to rest. Urn meaning – There is abundance and joy to come your way. Violin meaning – An egocentric personality is depicted. Vase meaning – You will be called upon by a friend who needs your help. Volcano meaning – Emotions are to erupt try to keep your cool. Wings meaning – Some messages are to reach you. Waterfall meaning – A waterfall depicts prosperity. Wheel meaning – If the wheel is broken there will be difficulties and challenges to overcome, if complete good fortune is to be yours what you have been waiting for will come to you. Wagon meaning – A wedding is depicted. Wasp meaning – A relationship may need some care and attention. Wolf meaning – There is some jealousy around you. Yoke meaning – Being under pressure, in a situation that stifles you, possibly an overbearing person in your life. Zebra meaning – You are very likely to be travelling overseas.